Liver - is the largest and one of the main organs of the human body. Located in the upper part of the stomach, liver aids in digestion and blood purification. Toxins and alcohol increase the risk of liver disease. Fortunately, the liver is the only organ that rejuvenates damaged cells naturally. However, if a large number of liver cells damaged, it cannot perform its normal functions. The liver performs lot of functions. It produces bile to digest fats. Unused glucose is converted into glycogen and stored in liver cells. If additional energy is required between two meals, glycogen is converted into glucose. Cholesterol, amino acids and enzymes that promote blood clotting, are produced in the liver. It keeps the iron needed for red blood cell formation. It is a detoxification center, which removes waste from the blood and turns them into urea, which is excreted through the urine. Inflammation of the liver tissue, known as hepatitis in which liver function decreases. Cholestasis occurs when the flow of bile is difficult. Accumulation of cholesterol and triglycerides increases the risk of liver damage. Exposure to toxic substances can lead to damage to the liver cells. Alcohol abuse is a major cause of inflammation and accumulation of fat cells in the liver. Liver damage can be caused by certain drugs. Viral infections can lead to liver damage. Cirrhosis is characterized by scarring and weakening of the work of the liver cells. Over the centuries plants & herbs are used for the treatment of damage liver and for its improvement. Modern research has confirmed the beneficial effects of medicinal plants used in traditional medicine for the treatment of liver diseases. In composition of Sattva Livarex capsules natural herbs & minerals are used to improve liver function in people with a diagnosis of chronic or acute liver disease. Sattva Livarex capsules -is a comprehensive Ayurvedic preparation made by the classical formulation is designed to protect the liver from infections and inflammations. It is useful in infectious hepatitis, fatty liver, chronic cholecystitis and a number of other liver diseases. Sattva Livarex capsules helps to improve the functioning of the liver. Plants that are part of the composition, provides potent antiviral activity, destroy hepatitis viruses and prevent their transfer. Strong anti-inflammatory effect of plants present in Livarex helps in regeneration of liver cells, increasing protein synthesis and nukleina, reversing the process of liver cirrhosis caused by alcohol abuse or chronic hepatitis. Sattva Livarex capsules removes toxins from the tissues and eliminates the inflammation or infection, purifies the blood, relieves inflammation in the gallbladder and the pancreas, helps prevent diabetes and atherosclerotic vascular lesions, normalize cholesterol and triglycerides in the blood, strengthens the heart, improves eyesight, can be used to most treatment of skin diseases, including psoriasis and vitiligo. Jaundice, nausea, vomiting, abdominal pain, are the classic symptoms of liver disease. Excessive alcohol consumption, viral infection or obesety increases the risk of liver disease. Alcohol abuse leads to the accumulation of triglycerides and fats in the liver. A condition known as steatosis adversely affect the function of the liver. Chronic alcohol abuse can lead to cirrhosis. Obesity and prolonged consumption of fat increases the risk of fatty liver. Liver disease known as nonalcoholic fatty liver disease or nonalcoholic steatohepatitis gradually reduces the function of the liver. Viral infection leads to inflammation of the liver tissue, which causes hepatitis. This occurs when consuming contaminated food or water. Chronic hepatitis develops after infection with hepatitis B or C.
Some herbs can act as a tonic for the liver. They improve the function of the liver, which contributes to the prevention and treatment of infectious hepatitis, steatosis, cirrhosis and other diseases of the liver. For hundreds of years, such as plants Andrographis, Bhumiamla, Boerhaevia, Picrorhiza and Berberis aristata used to treat liver disease. Their effectiveness in improving the quality of life of people with liver diseases and has been proven in a number of experimental and clinical studies. These powerful hepatoprotectors are part of the medicine Sattva Livarex capsules. Kalmeg (Andrographis paniculata) - translated from Sanskrit as "King of bitterness." Used in Ayurvedic medicine for the treatment of various infectious diseases. In the past 10 years it has become very popular in the United States and Scandinavian countries and is called as an Indian echinacea. Andrographis in clinical results had showed a steady decrease in the symptoms of viral disease, the growth of the CD4 lymphocytes in HIV infection. Showed good results in the confrontation dysentery, diarrhea, and viral hepatitis. During the terrible influenza epidemic (Spaniard) in 1918, which killed 50 million. People from the world and from india stopped this epidemic with the help of this traditional medicine, called Andrographis. Ayurvedic medicine for centuries has successfully used this plant to treat various diseases of the liver and gastrointestinal tract. Extract of the herb stimulates the gallbladder, cleanses the liver, and resists malaria and other infectious diseases. Canadian researchers found that andrographolide, the most important component part of the Andrographis, helps to inhibit the viral glycoproteins, which prevents their replication. Andrographis was supposed to use for the treatment of the most feared infectious diseases of our time: the type of virus, Ebola, avian influenza, respiratory syncytial virus. - A non-specific immune response in which makrofagotsity blood cells are purified from foreign elements. Terpenes which are a part Andrographis forces cancer cells respond to growth signals, resulting in their differentiation, growth restriction, and ultimately apoptosis. Punarnava (Boerhaevia diffusa) - universal elixir of youth, rejuvenates the entire body. Widely used for the treatment of jaundice, with systematic problems of the liver and kidney and for the prevention of obesity. Punarnava - great toning and rejuvenating herb for kidney and spleen, which, due to high content of calcium and punarnavina alkaloid, is commonly used in Ayurvedic medicines. It helps to restrains the spleen enlargement, and also decreases the blood cholesterol levels. Kalinji (Solanum nigrum) - helps with hypertension, atherosclerosis. Has a laxative, antipyretic, anti-inflammatory and diuretic effects. It is recommended for hemorrhoids, ulcers, wounds, eczema, erysipelas, heartburn. Apamarg (Achyranthes Aspera) - is used for all kinds of boils, carbuncles, rashes, sores, bites of animals, with fistulas and gangrene, including diabetic gangrene. Parijat (Nyatanthes arbortristis) - has antihelminthic, antifungal and antiviral properties, supports and protects the liver. Is used as an antipyretic and analgesic. Bhumiamla (Phyllantus urinaria) - in Ayurveda is considered one of the best plants in the treatment of hepatitis. Laboratory studies have shown that extracts of this plant could inhibit replication of hepatitis B virus and other viruses, infection associated with the liver inhibits activity of enzymes that increase virus replication. Has antibacterial, sedative, diuretic effect, improves metabolism. Bhumiamla can benefit people with alcoholic liver disease. Can accelerate the recovery of liver fibrosis, which is characterized by excessive accumulation of collagen protein. Diseased liver contains nearly six times more protein than healthy. It is a chronic degenerative disease leads to liver cirrhosis. Alcohol abuse is a common cause of liver disease. Kutki (Picrorhiza kurroa) - has antioxidant, anti-inflammatory, tonic, antiseptic, antibacterial and immunomodulatory properties. Contains bitter glycosides, including kitkin and kikrohizin, D-mannitol, kutkisterol, apocynin. 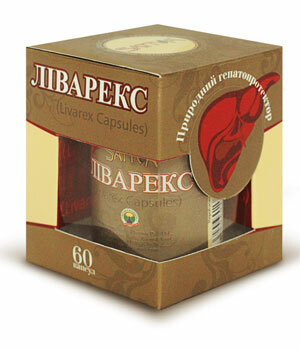 Widely used in diseases of the liver, promotes the normalization of liver enzymes. Protects hepatic cells against destruction of toxic substances, restores hepatocyte cell walls. Stimulates the appetite and digestion, helps with anorexia, nausea and vomiting, indigestion and chronic diarrhea, constipation. Used to improve the immunity to deal with hepatitis B virus, promotes detoxification and recovery of the liver after viral, alcoholic and drug effects. It is used for respiratory diseases, asthma, to treat skin diseases, vitiligo, psoriasis and as an antitumor agent. Avoid hot, spicy, oily and junk food, observe a vegetarian diet. Avoid refined white flour, polished rice (white rice), mustard oil, mustard seeds. Reduce consumption of canned and preserved foods, cakes, chocolate, alcohol and carbonated drinks. It is necessary to increase the intake of whole wheat, brown or parboiled rice, Indian gooseberry (amly), grapes, radishes, lemon. Avoid excessive stress and stressful situations, such as anxiety or anger. Avoid working under sunlight or near boilers and furnaces. Creativity, meditation, prayer, yoga and pranayama - recommended to mind remained calm and stable. Take 1-2 capsules 2 times per day immidiately after meal, preferably with a glass of water. Bacterial and viral hepatitis, jaundice, skin diseases, including psoriasis, vitiligo, anorexia, anemia, gastritis, liver cancer, diabetes, food and alcoholic poisoning, fever, pancreatitis, chronic fatigue syndrome, impaired vision, colds, accompanied by fever, high blood cholesterol levels, heart disease.